This week Yo Grito! 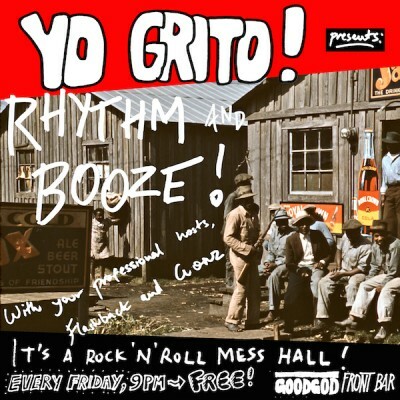 will shake you loose with with the best kinda R&B, a RHYTHM & BOOZE SPECIAL! Featuring your professional hosts FLASHBACK and GONZ, spinning legendary discs to accompany a night of dance and drink. They’ll be going all night with the best rock n’ roll, R&B, garage and boogie ever pressed to shiny black vinyl!